Trend Micro's former A/NZ channel lead, Peter Hewett, has joined Lakeba Group in a newly created head of sales role. Sydney-headquartered Lakeba operates a platform for the commercialisation of innovation, which is also known as a reverse incubator. Different from an incubator, which typically helps new and startup companies to develop by providing services such as management training or office space, a reverse incubator gets companies to pitch their problems so start-ups can build a solution. Hewett's primary responsibility will be driving growth across all Lakeba's ventures. According to Lakeba, the creation of Hewett's role was a result of the increase in sales and growth driven by the company's focus on application development and the commercialisation of its blockchain technology. "Lakeba recognises Peter’s ability to deliver technical expertise and experience as well as business leadership and channel expertise," Lakeba commented. The company expects Hewett to apply his channel experience to Lakeba's partnerships with Microsoft, Fujitsu, Telstra and other integrators. He will also help with discussions on new and emerging technologies such as blockchain, mobile app security and IoT. “The opportunity to work in blockchain technology, IoT, mobile security is very exciting," Hewett told ARN. "I believe the next big thing in cyber is mobile apps – and Lakeba is the market leader in this space with Quixxi. 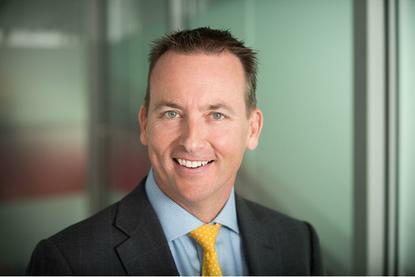 Hewett joined Trend Micro in January 2017 leaving towards the end of the same year. He had previously worked for cyber security company, Darktrace, for over one year. Hewett also spent some time at Kaspersky Lab from September 2014 to June 2015 as the Asia Pacific managing director. Before joining the cyber security vendor, he worked for Westcon Group as a regional sales manager and later as a sales director. He had also worked for Sophos from 2006 to 2011, where he was last a director for sales in Northern Australia. Established in 2012, Lakeba has offices in Melbourne, London, Coimbatore, Naples, Singapore, San Francisco and New York.